as an A4 booklet and as a ‘PDF’ document which can be viewed and downloaded by ‘left-clicking’ the cover image above. Life President Roger Burroughs, is handling the distribution of the A4 Booklet, should anybody require the printed version. 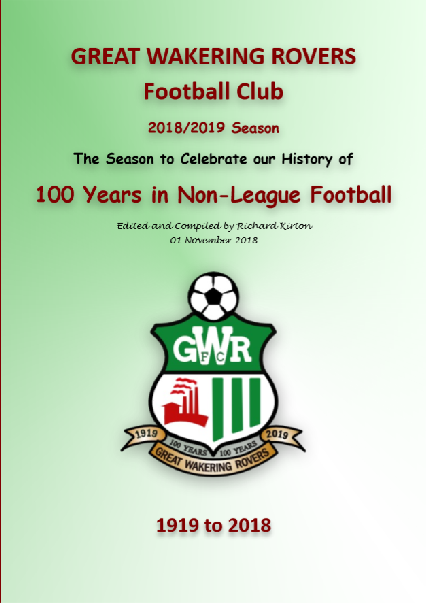 Telephone number of Great Wakering Rovers is 01702 217812.